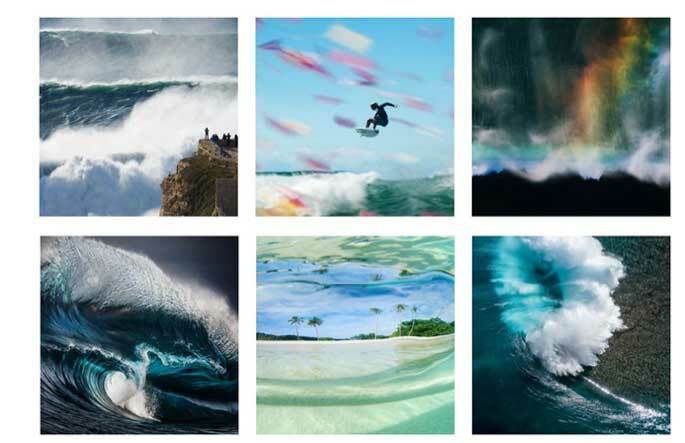 Nikon, with Surfing Australia, is calling for entries for the 8th annual Nikon Surf Photo and Video Awards, with a Nikon Z6, Nikkor Z 24-70mm f/4 S and FTZ adapter the prize for best video and a Nikon Z7, Nikkor Z 24-70mm f/4 S and FTZ adapter for best photo. The competition is open to Australian residents who can submit images taken anywhere around the world in 2018 across the categories of action, lifestyle/portrait and scenic photography. Entries will be judged by a panel of high profile individuals from within the surfing industry including Nikon Brand Ambassador, Stephanie Gilmore. It always seemed a bit ambitious of the good burghers of Koelnmesse to expect the global photographic industry to sign on for a Photokina in May, 2019 just months away from this year’s event – and so it has come to pass. Photokina 2019 has been cancelled and the next event will be from May 27 – 30, 2020. The German Photo Industry Association (PIV) and event organiser Koelnmesse are now in furious agreement that seven months is just not sufficient time between Photokinas. A pity they didn’t have a good hard look at the calendar a little earlier. ‘It is…unlikely that, in May 2019 after just over seven months, we will once again be able to create the same enthusiastic atmosphere that characterised photokina 2018. This is why we have decided to start the planned annual cycle in 2020.’ said PIV’s CEO Rainer Führes. The 2018 event attracted 180,000 visitors from 127 countries. Leica Camera, has opened its second Australian store and gallery in Melbourne, after having opened a Sydney store in 2016. The large new store – 220 square metres – is in an off-street first floor location at 260 Collins Street. The opening event – so exclusive that the Cinderella-like Inside Imaging missed out on an invitation – was hosted by Dr Andreas Kaufman, chairman of Leica Camera AG. The first exhibition at the Leica Gallery features 15 Melbourne street photographs from Magnum photographer, Bruce Gilden. The Leica Store & Gallery Melbourne will be open between 10am-6pm Monday-Wednesday and Saturday, 10am-7pm on Thursday-Friday and 10am-5pm on Sundays. The curiously-named ON1 has announced Photo RAW 2019, it’s increasingly compelling Photoshop challenger. ON1 Photo RAW 2019 includes a new non-destructive workflow for layers, auto-alignment of layers, focus stacking, a new portrait tab, a new text tool, new digital asset management updates and more. ON1 claims Photo RAW 2019 has all the features photographers use most from Adobe Lightroom and Photoshop in a single application – which they actually allow you to own. Clearly hoping to entice photographers away Adobe, Photo RAW 2019 also an easier migration process for customers moving from Lightroom. Version 2019 uses AI-powered algorithms to transfer and display Lightroom edited photos in ON1 Photo RAW 2019. The transferred settings will also remain non-destructive and be re-editable inside ON1 Photo RAW 2019. There’s a plethora of other enhancements readers can learn about here. ON1 Photo RAW 2019 is available today for US$99.99. Previous owners of any ON1 product can upgrade for US$79.99. A 30-day free trial of ON1 Photo RAW 2019 is also available for download. For a limited time, a purchase of ON1 Photo RAW 2019 includes an ON1 Photo RAW 2019 Foundations video course, and the ON1 Looks eBook and series of 25 videos and practices files and to help you master ON1 Photo RAW 2019. A single purchase of ON1 Photo RAW 2019 includes both macOS and Windows installers and activation for up to five computers. Had to laugh. Ross Greenwood in his 3AW money show interviewed Andreas Kaufman about the shop opening. In his introduction spiel, he proclaimed that Leica cameras had a rich history, some models had sold for millions at auctions and were the cameras that NASA took with them on the first moon landing !